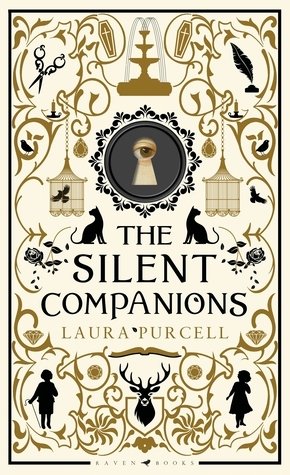 The Silent Companions by Laura Purcell. Raven Books, 2017 (UK)/Penguin, 2018 (US). Hardcover. 384 pages. I've been excited to review this one ever since I read it in the beginning of December, but all of the holiday happenings and blog business sort of took over and I have just now found the time to do so. 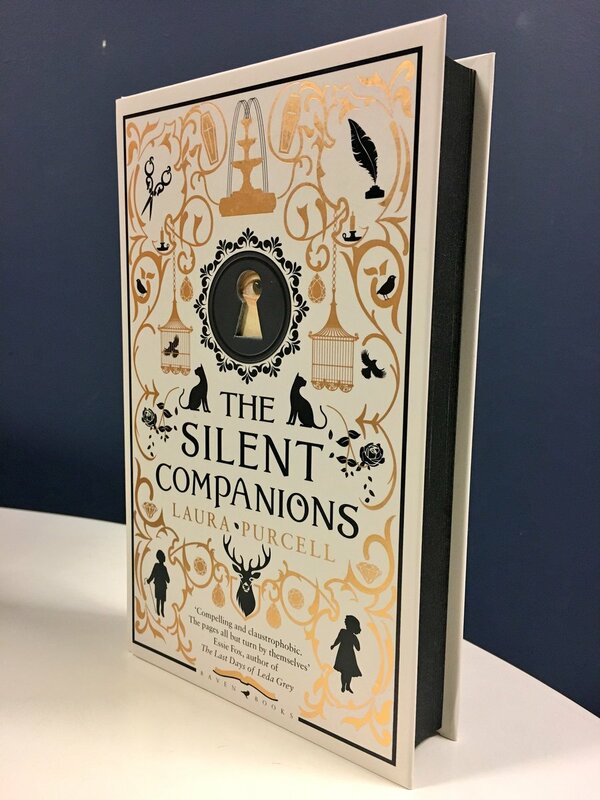 The Silent Companions is the perfect Victorian ghost story and it has all of the classic elements: a dark, decrepit mansion that is believed to be haunted, a somewhat eerie town, strange happenings, and, of course, the refusal to fully believe or take seriously what women are saying is happening. Jokes aside, this is the perfect book to hunker down with on a cold, rainy (or snowy) winter day and become immersed in the gloomy atmosphere that permeates this story. The story begins when Elsie is sent away to live in the country house (known as The Bridge), pregnant and alone, after being widowed by the recent and untimely death of her husband, Rupert. She travels to The Bridge along with Sarah, a young spinster women who is related to Elsie's late husband, where the two are meant to live our their lives. The two eventually uncover old wooden 'companion' figures in the house from previous residents that are meant to appear lifelike and as if there are real people in the room. Does that sound creepy yet? Well don't worry, it gets even creepier from the minute Elsie steps into the house and and every subsequent day she spends there. The best part about this book is the detail and the overall atmosphere. There is a switch between three different time periods, but only two POVs, and they are all equally fascinating. Purcell has created an incredibly finely crafted story that relies on careful plot progressions, perfect timing, and a setting that makes this novel feel wonderfully eerie. It is a silent and subtle horror that creeps in this book with occasional bursts of shock that jar the reader back into reality. The characters are all interesting in their own right, though none of them particularly stood out to me. I was almost more interested in Sarah's character than Elsie's, to be completely honest. I found that Elsie was well-written and had an interesting and mysterious past, but her personality didn't particularly grab hold of me. Sarah seemed to be a more complex character that I wished to have known more about. The house staff added some extra elements to this story, as well as acted as important plot devices, but they didn't seem to do much more than that. There were two that I actually mixed up a bit at the beginning before getting it straight. 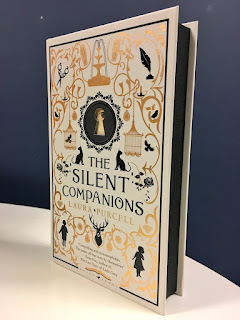 The Silent Companions doesn't necessarily feel like it's the next big, shocking book that will take the reading world by storm or anything particularly earth-shattering, but it is still full of exciting twists, darkness, an ability to surprise, and impossible to put down. Purcell is able to paint an incredibly haunted atmosphere that really enveloped me every time I pick up this book. It's a bit depressing at times, but it's done so in a manner that provokes intrigue and a desire to continue finding out what is happening at this house. 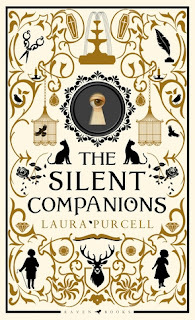 Overall, I've given The Silent Companions four stars! This book sounds so creepy - might be good to read in the fall! I'm excited to read this book - I love books that have a great atmosphere, even if the characters don't particularly stand out. Also that copy you have is utterly gorgeous! Lovely review!